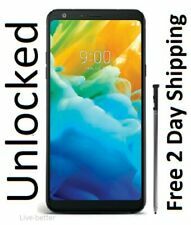 2 product ratings - Cricket Wireless Coolpad CANVAS 4G LTE Prepaid Smartphone Brand New Sealed!!! Samsung Galaxy S7 SM-G930A ATT and Cricket Customer Special Warehouse Sale! 199 product ratings - Samsung Galaxy S7 SM-G930A ATT and Cricket Customer Special Warehouse Sale! Trending at $155.70Trending price is based on prices over last 90 days. This page was last updated: 18-Apr 08:36. Number of bids and bid amounts may be slightly out of date. See each listing for international shipping options and costs.